Through advocacy, a number of institutions including COMBRA, Nkokonjeru Providence Home and Katalemwa Cheshire Home started providing physiotherapy and other services to people with Cerebral palsy. At least 58 people with Cerebral Palsy (20 children, 38 youth) have benefited from these institutions. The sensitization workshops for youths with CP, parents, caretakers, local leaders has increased knowledge and understanding about CP. Most parents and caretakers used to view their children and youths with CP as a curse or burden before understanding CP. The association has managed to provide psycho social support to parents and sensitize them about the needs of people with CP and share with them the success stories of some people with CP which has given them hope that if they take good care of their children they could also be important in future. Wilson Madaali aged 35 years and a Father to a 12 year old girl with CP, Maureen Guyitabingi, a resident of Kanyanya in Kampala had this to say about UNAC. “UNAC project has been helpful in terms of mobilizing parents of children with CP, who are now caring for their children. Using youths with CP to reach out to fellow Youths has been one of the best things the project did because it gave hope to parents that probably in future their children would also be like these youth. The parents have since (November 2013) formed their own association which they have named “Parents of children with Cerebral Palsy Association” which they have registered as a CBO. The association teaches parents to love their children and care for them, to abandon using derogatory names when calling them”. 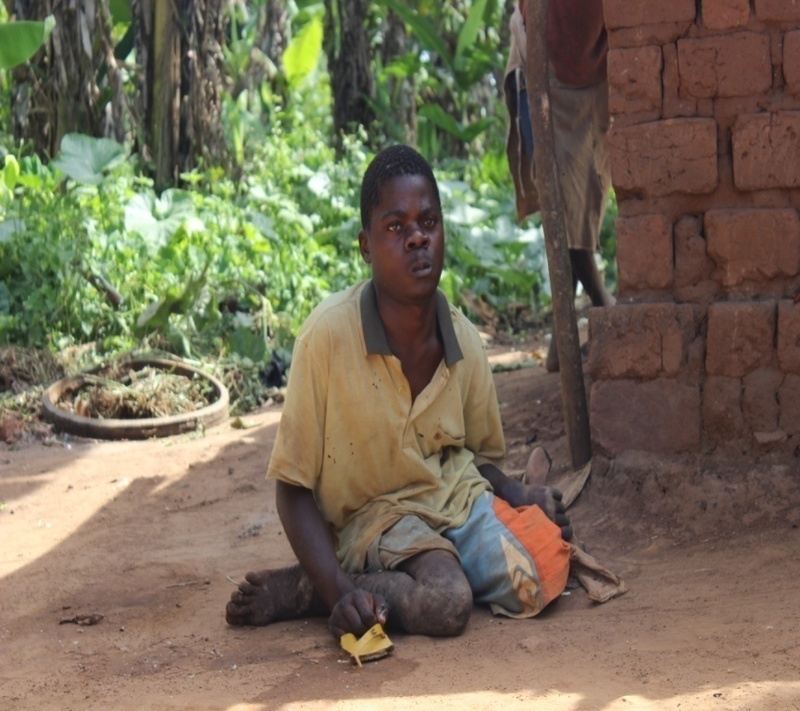 Gobi John, a youth with CP, aged 18 years lives in Mayirikiti village, Ndolwa parish, Nkonkonjeru Town Council. 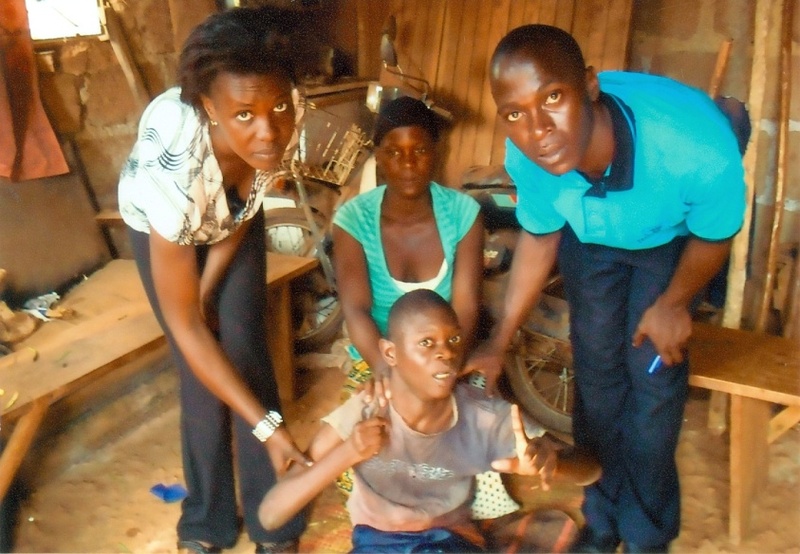 He is being taken care of by her sister Unia Nakitende, 23 years old. Johns Father and Mother passed away. Unia was one of the participants who attended a sensitization workshop on how to take care of persons with CP. She pointed out that the sensitization gave her knowledge and skills on CP and how to take care of her brother. “I am now doing exercises with Gobi. He never used to feed himself but he can now feed himself. He can now chew a little. His legs are beginning to straighten and even neighbors can now touch him unlike before”.